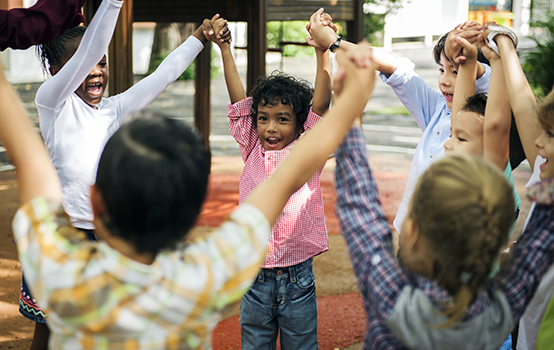 A longtime advocate for social and emotional learning shares concerns about the SEL movement. When I was a teenager, I loved to discover bands that my friends hadn’t heard yet. But as soon as those bands started to get played on mainstream radio stations, or at parties, I’d move on to something else. If everyone was listening to the same music, then it didn’t seem so cool anymore. I guess I’m contrarian by nature. Or maybe just a snob. In any case, my excitement about the newest thing is often quick to cool once it becomes popular. I mention this to help explain my current concerns about the movement to promote social-emotional learning (SEL) in the public schools. I became an early adopter and champion of SEL 25 years ago when I worked as director of accountability for Larry Leverett, who was then the school superintendent in Plainfield, N.J. In the late 1990s, we formed a partnership with Rutgers University psychologist Maurice Elias — a founder of today’s SEL movement — to implement some of his ideas about how best to support students’ emotional well-being. Several years later, when I became the system leader in Stamford, Conn., I continued to emphasize SEL, and I made it a priority when I became superintendent in Montgomery County, Md. We invited Elias to speak with us about SEL, came up with measures of student engagement and school climate, and required every school to integrate SEL into their goals. I was on the Aspen Institute’s National Commission on Social, Emotional, and Academic Development, and the National Association of School Psychologists recognized me as an outstanding advocate for SEL. It was always central to my work. I claim these bona fides to make clear that my current skepticism about SEL is grounded in a deep commitment to helping schools meet all students’ emotional needs. It should not be an afterthought or something just for students in crisis. Children’s emotional health and development deserve as much attention as their academic achievement. If good SEL practices are associated with higher test scores, that’s fine, but my priority is making sure that our schools are decent communities, where the adults have all students’ best interests at heart. My skepticism about the rapid and widespread embrace of SEL has to do with the ways in which the movement appears to be changing as it grows. For one thing, I’m concerned that the concept of SEL has itself become too fuzzy to be useful. The Aspen Institute and the Collaborative for Academic, Social, and Emotional Learning (a pair of organizations that I deeply admire) have made great efforts to clarify and define the term, but SEL still has come to mean many things to many people — from the development of growth mind-set and the cultivation of grit to anti-bullying programs, collaborative learning, character development, and effective classroom management. Maybe this is healthy, representing innovation and flexibility. Yet, there’s a risk to such looseness, as educators with scant time to read deeply into the research might be tempted to choose the shiniest apple, implementing a model that may not be the right fit for their needs. Second, I worry that SEL has begun to suffer the same fate as just about every other promising idea in public education: Developers (both for-profit and nonprofit) are creating SEL products, which, they promise, will transform your school (as long as you implement their model with fidelity, which requires that you purchase their professional development services). Of course, there are some good tools and materials out there, along with well-intentioned groups doing powerful SEL work and sharing their practices and data. (For example, see California’s CORE districts: https://coredistricts.org.) All too often, though, developers sell educators on the appealing fantasy of paint-by-numbers school improvement, as though there were a simple, step-by-step formula to create a healthier social and emotional environment for kids and teachers. If only it were that easy. Third, I worry that the SEL movement hasn’t been careful enough to address the racial divisions that permeate American public education. To date, the discourse around SEL has been dominated by White researchers and reformers, though much of the programming has been directed at Black and Brown students in urban districts. It’s no surprise that many critics have begun to push back on the idea that children of color need White educators to teach them to persevere and regulate their behavior (Love, 2019). As historical research by James Anderson (1988) has shown, a paternalistic attitude toward Black students’ social and emotional learning goes back to the reconstruction era, when White, Northern educators and philanthropists tried to spread the Hampton model of schooling, which aimed to teach formerly enslaved people to develop good labor habits and grit so they could be productive workers. It strikes me that the SEL movement has only just begun to acknowledge this history and grapple with the complex racial politics involved in this work. Think of SEL as an aspiration, not an intervention. It’s a mistake to think of SEL as a discrete program that we give to certain populations of students. SEL is not trauma-informed care and doesn’t take the place of mental health services. It’s not something you do for 45 minutes on Thursdays and then return to regular programming. And it’s not something that we do for children alone, without also attending to the social and emotional lives of the adults who work in our schools. Rather, SEL must be woven into all the interactions within a school community. Describe SEL in positive terms. How leaders describe the need for SEL says a lot about their values and beliefs. It may be tempting to argue that our schools need to focus on social and emotional skills in order to “fix” the behavior of certain kids or to address the deficits of certain student populations. But it’s much more helpful, I think, to frame the case in positive terms: Attending to social and emotional health is essential to building a strong community that enables all students to thrive and for adults to do their best work. Nowadays, a lot of foundation support is available to support SEL, and it has the potential to help the movement flourish. But foundations can just as easily support bad ideas as good ones, and educators should do their due diligence before pursuing or accepting grant money in this area, particularly if that money comes with strings attached, such as the requirement to implement specific models or purchase specific products. What do we want to achieve with a push for SEL? Must it be associated with academic achievement? Should the whole school climate be measured or just the classrooms of individual teachers? What about individual measures of student SEL competencies? Such questions abound, and it’s not yet clear how, or whether, SEL can be assessed in valid and reliable ways. The science of measuring social and emotional development simply hasn’t kept up with the desire to do measure it, and school and system leaders should be wary of those who claim to know how best to gauge such competencies. Don’t define SEL as special education. When SEL is placed within the special education or pupil personnel services department, it perpetuates the idea that only some students need social and emotional support. Again, the whole school community should be invested in SEL, and it should be everybody’s responsibility to help create and maintain a supportive educational environment. Reinforce the need for SEL throughout the system. SEL is for every adult and every kid, all day every day. Attending to emotions is necessary on the bus, in the playground, in the cafeteria, after school, and during academic classes. Every adult has a role to play in creating a consistent and emotionally healthy school climate, rather than leaving it to the social worker or the school psychologist or a handful of popular teachers. Think carefully about SEL’s relationship to educational equity. It’s not yet clear how the SEL movement should address the topic of equity or what advocates should know about the implications of asking White educators to focus on the social and emotional behaviors of children of color. For historical reasons, many students and their parents have good reason to be wary of such efforts. At the very least, school and district leaders should acknowledge these dynamics, consider the differing ways which SEL might be interpreted by members of the community, and think hard about how to build trust in the school’s efforts to address these issues. Anderson, J.D. (1988). The education of Blacks in the South, 1860-1935. Chapel Hill, NC: University of North Carolina Press. Love, B. (2019, Feb. 12). “Grit is in our DNA’: Why teaching grit is inherently anti-Black. Education Week. JOSHUA P. STARR (@JoshuaPStarr) is chief executive officer of PDK International, Arlington, Va.